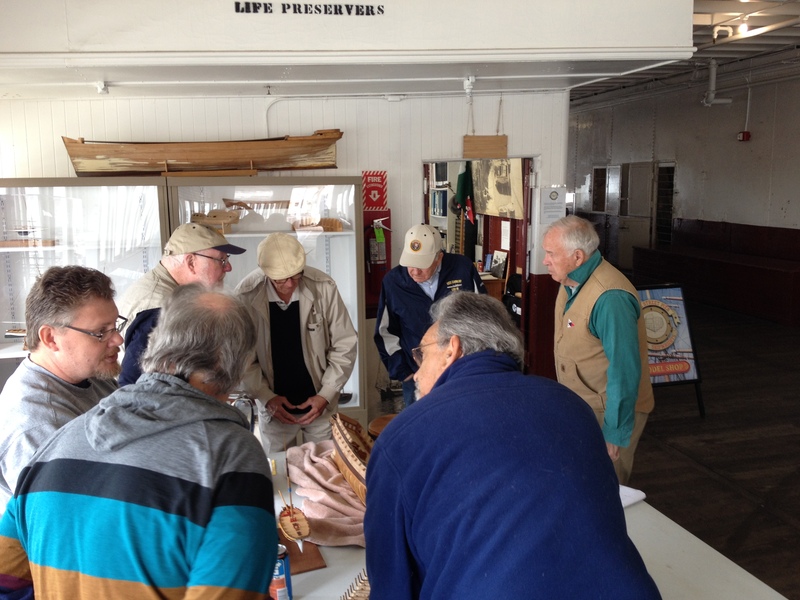 Today was the May meeting of the Hyde Street Pier Model Shipwrights and it was quite a gathering. With 11 members and 1 newly joining member and 2 guests, we had one of the largest meetings in quite some time, which was quite refreshing. Lots of great after-meeting discussions. We saw some good progress with models, with a couple that haven’t been seen in a while. Leo Kane brought in his scratch-built 1/64-scale US Frigate Essex that he’s been working on for about 3 years now. 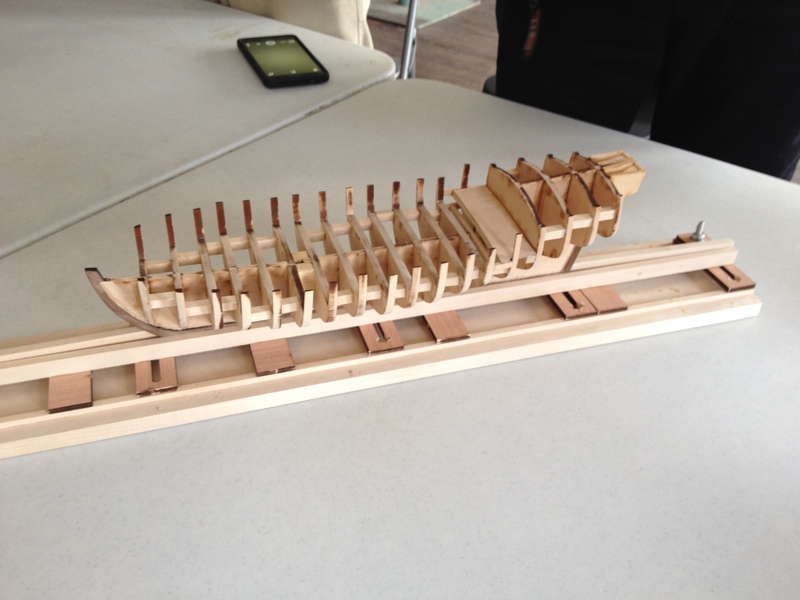 New member Dale Rappleye showed us some progress on his first ship model, the Armed Virginia Sloop, which he is building from a kit by Model Expo. There was also a nice half-hull model of a local sailing yacht, a scratch-built Skipjack, and more. Skipjack model started by Paul Reck and finished by Dan Canada. 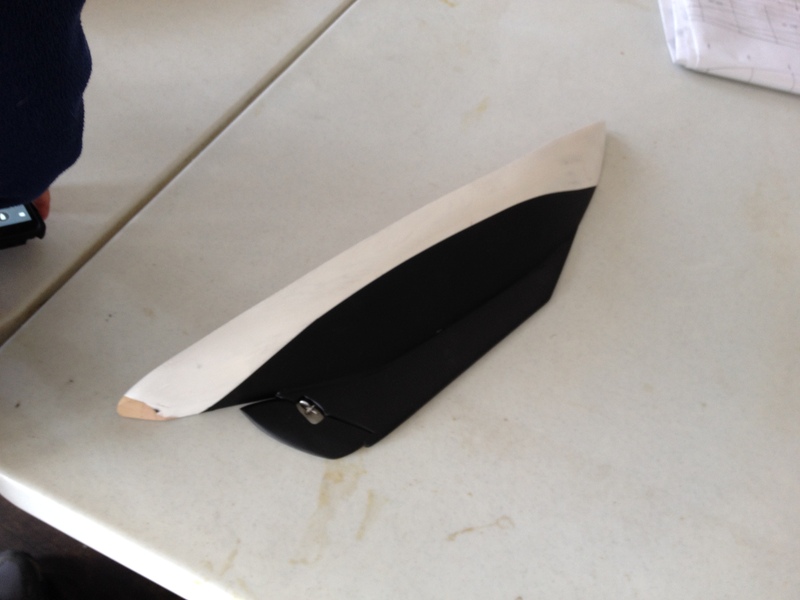 John Ferguson’s half hull model. Dale Rappleye’s Armed Virginia Sloop. 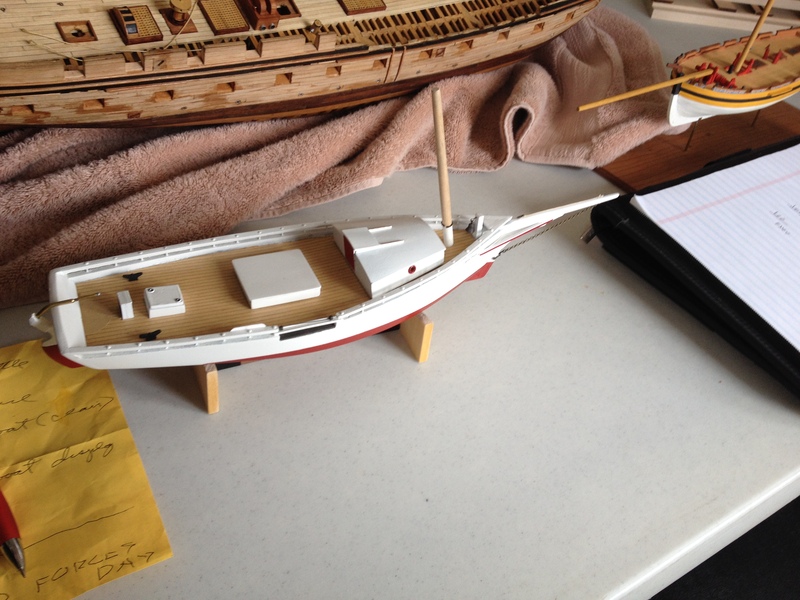 As mentioned above, we had one visitor who joined our ragtag band of ship modelers at meetings end, making him the third new ship modeler to join the group so far this year. As ship model clubs all over struggle for members and to maintain attendance at their meetings, it’s nice to see this little group grow. And, as kids getting into ship modeling, one of our guests in attendance was the grandson of member Warren Gammeter, and brought in a model of a Whitehall Tender that young man is working on with his granddad. A refreshing sight at the meeting. Minutes with additional photos will be available online in the next week or so. This entry was posted in Club News, Hyde Street Pier, News and tagged Meeting by catopower. Bookmark the permalink.